Want to own an investment property? 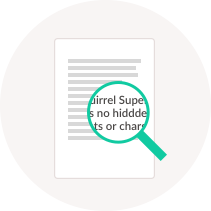 With a Squirrel SMSF, you could use your super to invest in a residential property or business premises. Sweet as a nut. Your Super in bricks and mortar. 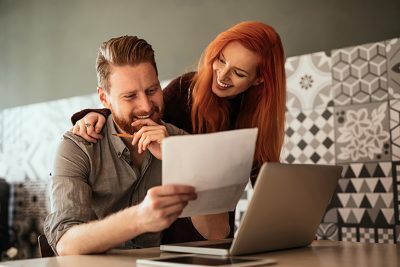 If the idea of investing in stocks and shares fills you with dread, then owning a physical asset such as a property may give your more peace of mind for your super. That’s not to say this investment type is risk free, however an SMSF gives you the freedom to invest in property. Many of our clients have used their superannuation to buy an investment property, either buying it individually, or pooling the funds of up to four people as part of their trust structure. Having a tangible asset that not only accrues in value, but also provides a positive cash flow stream in retirement is one of the main reasons so many people prefer to use their SMSF to buy property as an investment. With a Squirrel SMSF, you get exclusive access to our preferential lending rates for an SMSF loan. With an all inclusive setup fee of $1548.08 and from 5.42% variable rate (5.47% comparison rate) for Squirrel clients, you could get an affordable property investment loan for your SMSF and get your foot firmly on the investment property ladder. Whether you’re investing in commercial property or residential property, they are major tax benefits to investing in property with an SMSF compared to a private investment. 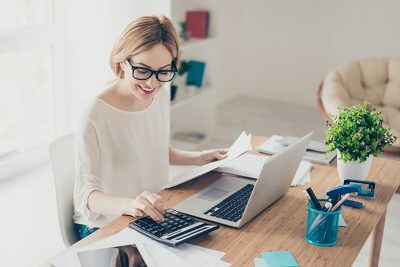 Your investment income is taxed at only 15%, so your SMSF is able to keep more of the rental income than you would if you invested as an individual. Capital Gains Tax is 10% after 12 months and 0% if you sell when you hit retirement age. Sweet as a nut. In a traditional superfund, you have limited choice for how your super is invested. Sure you can say what kind of investment strategy you want to pursue, but your money is at the mercy of a fund manager you’ll probably never meet. With a Squirrel SMSF, you choose where your money goes and as the Australian property market offers a lot of benefits for investors, now you can get your foot on the ladder. 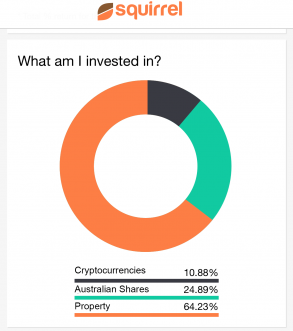 Our clever technology means that you’ll be able to track your property investment entirely within our SMSF platform. 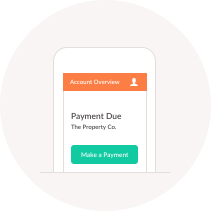 You can manage payments, rental arrangements and more. 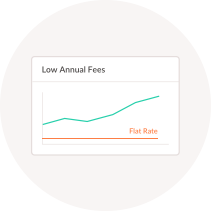 With our flat-rate and low annual fees, no matter how much your property grows in value you will never pay more in fees to us. After the initial setup fee, we charge $121 per month (inc GST) and this covers everything your fund needs for audit and accounting. Find out more on our setup and admin fees here. Our team have helped thousands of customers buy an investment property with their super, so we have tons of knowledge to help you through yours. We don’t provide personal financial advice, but provide unlimited customer support for the SMSF side of things. Our team of Super specialists and Squirrel advisers are on hand to help you put together an investment strategy that will build your wealth. There’s a reason so many of our clients use their superannuation to buy property through an SMSF. Property is generally considered to be a safe investment, especially as real estate can double in value every 10 years in the capital cities. A growing population means there’s likely to be a bigger demand for rental property. New investment in infrastructure can boost the value of homes in those areas affected. Keep your eye out for opportunities. Your SMSF will gain a passive income from your investment in property. I.e. you don’t really have to do all that much in comparison to share trading. The tax advantages are excellent – 15% tax on investment income and 10% CGT are exciting for property investors. If you sell the property in retirement, you pay 0% capital gains tax. Buying an investment property has many benefits, as well as some responsibilities and risks to consider. 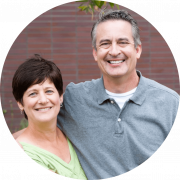 Properties are not risk-free investments and can have complications. You may likely need a loan to purchase the property. This can be a timely process. As a landlord, you will need to manage the tenants of investment property. This includes finding them, doing background checks and ensuring they pay their rent on time. If you put all of your super balance into a property, this reduces the diversification of your investments. Essentially you’ll have all your eggs in one basket. So you need to be sure that where you’re buying will have some capital growth, or at least provide you with a constant stream of potential tenants. Your property’s value could decrease if something major happens to the economy and you bought at the height of the market. Your investment must pass the sole purpose test, meaning you cannot benefit personally from the property before retirement. This includes renting the property to yourself, family or friends.